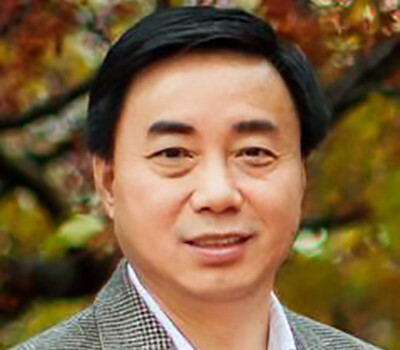 The 2004 SIGKDD service award went to Xindong Wu, Professor and Chairman of the Computer Science Department at the University of Vermont. He was the Founding Chair (April 1998 - April 2001) of the Steering Committee for the Pacific-Asia Conference on Knowledge Discovery and Data Mining (PAKDD), which has become the leading Asian data mining conference. He served as a program chair of PAKDD 98. In 1999, he started the Knowledge and Information System (KAIS) journal and served as the Executive Editor since then. KAIS has become one of the main journals for publishing data mining related research . In 2001 he founded the IEEE International Conference on Data Mining (ICDM) which has quickly become one of the premier conferences in the data mining field, receiving about 500 submissions in 2003-2004. He currently serves as the Chair of the Steering Committee for the IEEE International Conference on Data Mining (ICDM) and Chair of the IEEE Computer Society Technical Committee on Computational Intelligence (TCCI). He has been working tirelessly to promote the data mining field in the IEEE community and in the world.